Stand out from the streaming crowd! Buy Spotify plays for your tracks and increase your visibility online. Give your music a boost worldwide, with a steady stream of mass plays, distributed for maximum realism and effect. Get +10000 Spotify Plays + 5000 Song Saves for your song or any track today. All plays count towards your Spotify numbers as well as royalty payments! 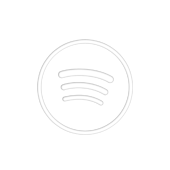 Our Spotify promotion services are 100% real and guaranteed, as well as completly safe. No password required! As a leading Spotify promo provider, we offer the whole spectrum of music marketing on the popular music streaming platform. Explore Spotify followers, playlist push, and many worldwide geo-targeted services right here. Medium FB Autopilot. 50-100 likes for EACH post, EVERY day – for one week, with a no daily limit. Delivery: 2 days.